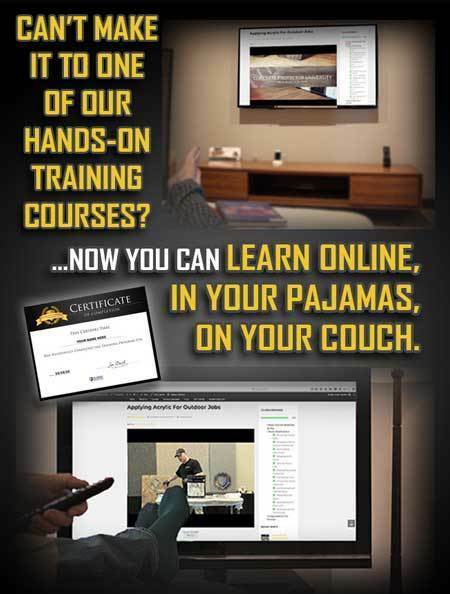 Decorative Concrete University is a revolutionary online learning platform developed the decorative concrete industry. Our instructors have decades of combined experience installing decorative coatings. Each course provides detailed video tutorials that show you at your own pace how to make concrete look like wood, marble, granite, tile and more. Our system is affordable and learn at your own pace making it perfect for busy contractors or do-it-yourselfers. Each course includes a manual to follow along with as you learn. If you're looking to learn new skills or hone your current skills check out our courses page or contact us with any questions.